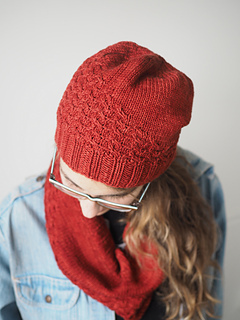 A field of little cables wend in and out of soft stockinette. 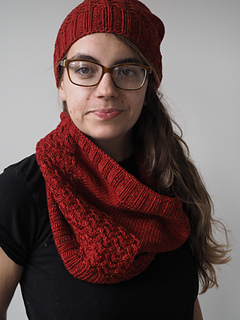 Titian was first published as part of Spirit Trail Fiberworks’ December Club; similar yarn can be found here! 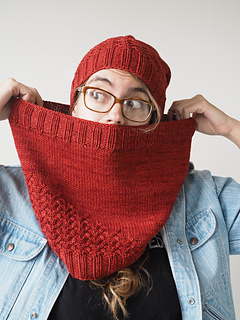 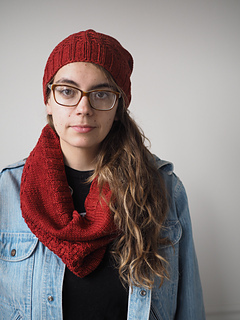 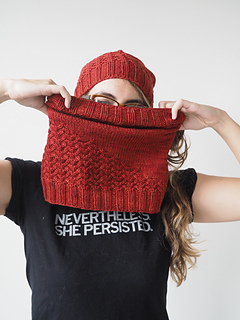 Cowl: circular needle, 16-24” (40-60 cm) circumference. 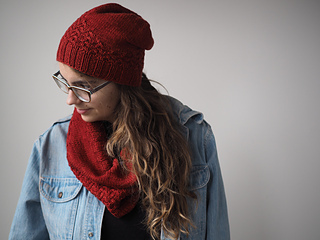 Hat: circular needle, 16-24” (40-60 cm) circumference, and needles in preferred method of small-circumference knitting (Magic Loop or Double-Pointed Needles (dpns)).